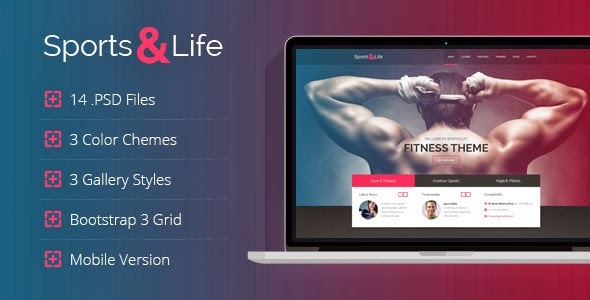 Sports&Life is a gym & fitness PSD Template designed in a minimalist style. Besides it suits for any type of design studio, portfolio, personal website, business etc. This PSD Template has 3 color schemes. The psd is designed on grid and can be easily converted into responsive HTML and WP. Item Reviewed: Sports&Life - Gym & Fitness PSD Template 9 out of 10 based on 10 ratings. 9 user reviews.